It’s good to see Adam Lallana fully fit and involved this pre-season. If he can re-find his best level, he’ll be like a new signing in 2018/19, having missed basically the entirety of last term with various injuries and niggles. He probably would have liked to be involved for England tomorrow, but instead, he featured against Tranmere in a pre-season friendly. Lallana made it 3-0 to Liverpool in the first-half with a goal that shows how fit Jurgen Klopp’s Reds really are. On two occasions Liverpool won the ball back in the box, having tried to play quick, neat passes through our neighbours – with Naby Keita involved. 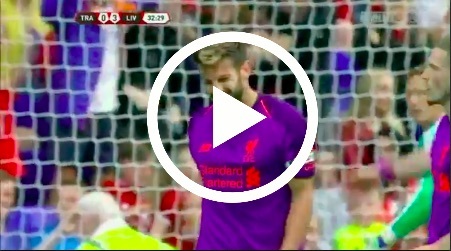 It’s a nice left-footed finish from Lallana after Sheyi Ojo and Camacho had already found the back of the net.